One-shot detergent and break formulation for optimum convenience. 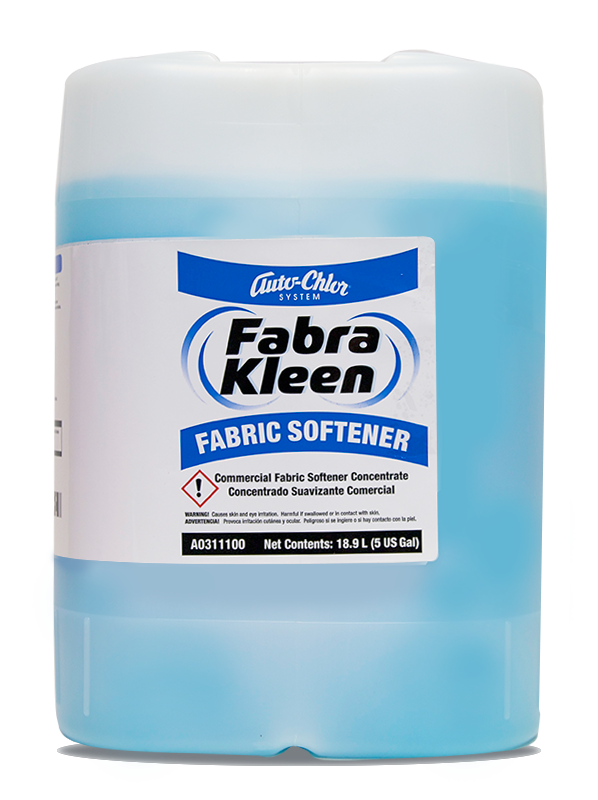 Ideal for use in 3 product laundry programs. 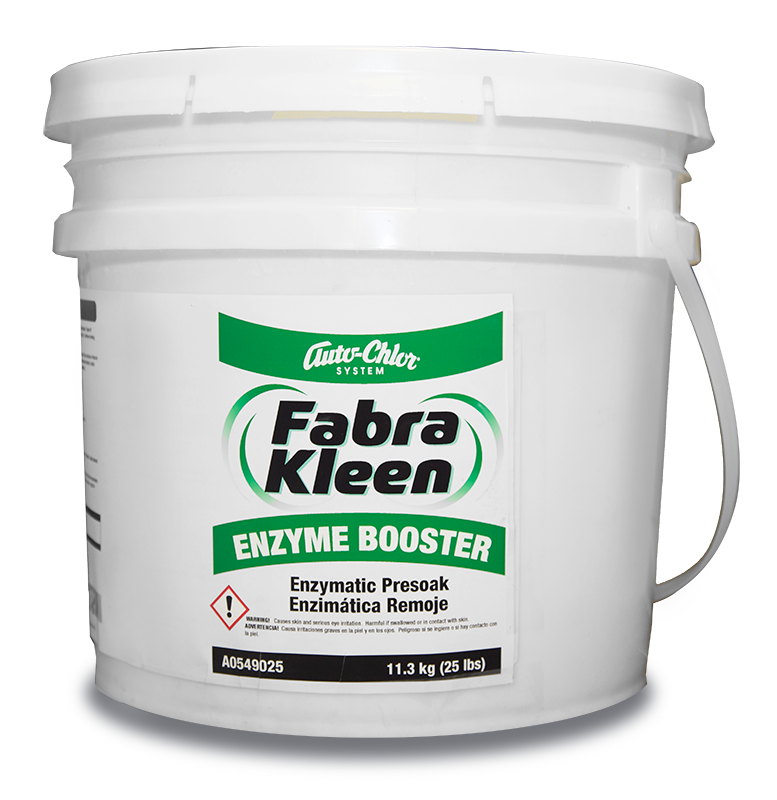 High-alkaline formula ensures results and minimizes rewash. Enhanced water hardness water control. Fluorescent whitening agents enhance the color and brilliance of fabric. 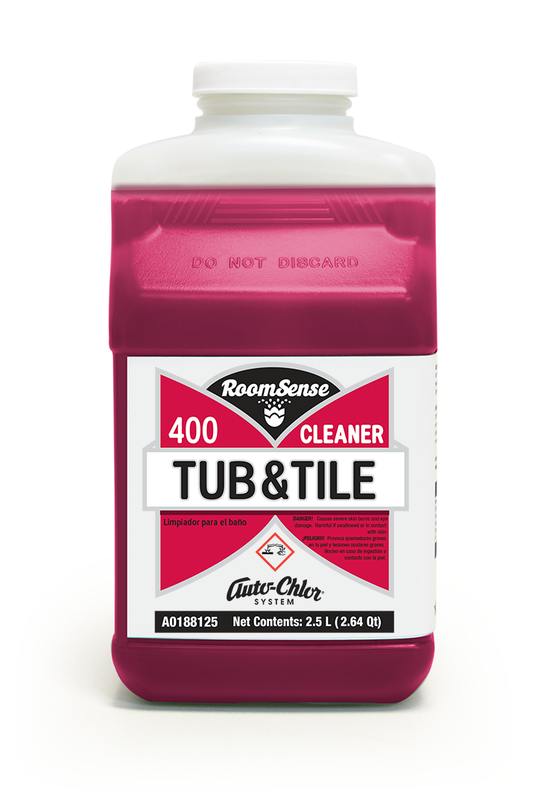 Contains biodegradable surfactants and wetting agents. 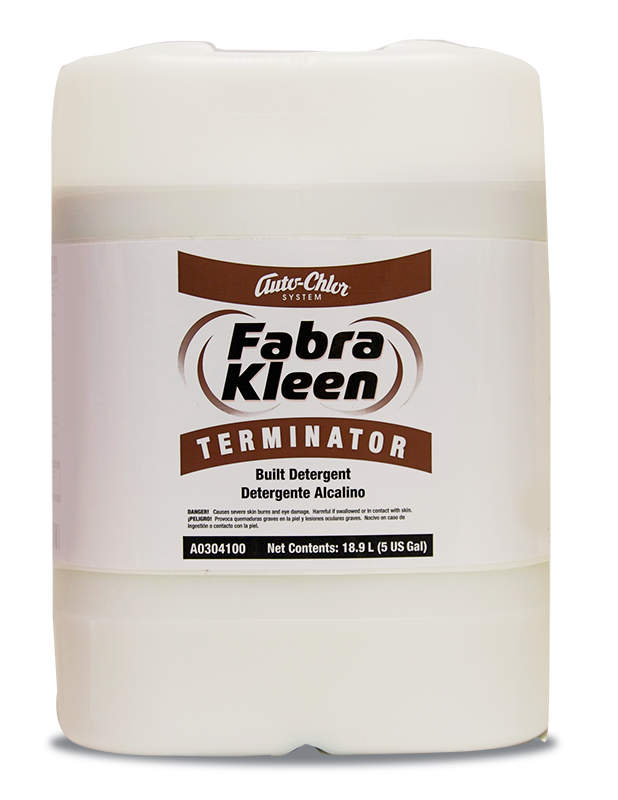 Fabra Kleen Terminator is a premium built liquid laundry detergent designed for “one shot” combined detergent and booster in any three product laundry washing environment. The high alkaline formula ensures excellent wash results and the extra strength sequesterants guarantee performance in even the hardest water conditions. 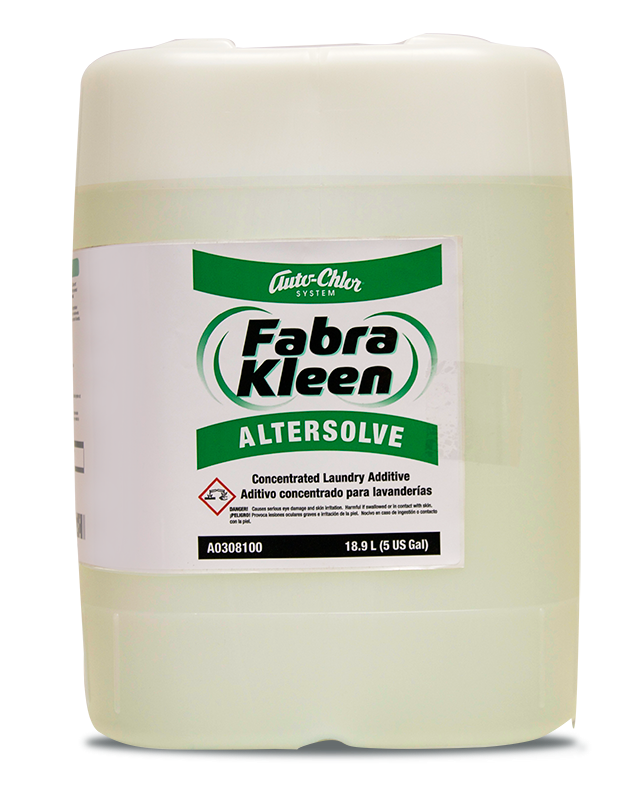 Fabra Kleen Terminator contains florescent whitening agents to enhance the color and brilliance of all natural and synthetic fabrics. Optimum results are achieved when used in conjunction with Auto-Chlor System dispensing equipment, service programs and complementary wash products. When used as part of the complete program, increased laundry operation effciency and significantly reduced wash article rejects and re-washes will result.